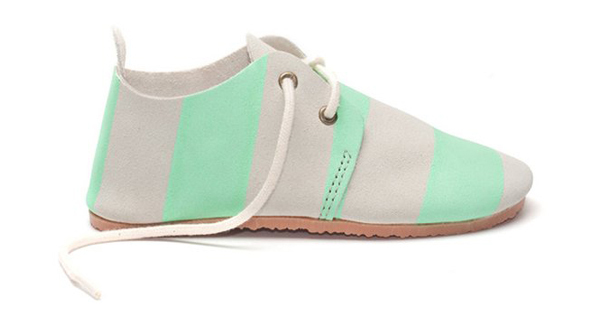 It’s never too early to be thinking of spring wardrobes and these stunning gelati coloured shoes are just the ticket to temporarily forget the winter blues! I’m undecided whether it’s the pop of happy silk screen printed colour or just the easy breezy light-weight look of Zuzii shoes that have me grinning ear to ear – whichever it is (and I suspect it’s both) I love it, and so too does my youngest son, for he loves nothing more than fancy footwear. A gorgeous line up of tots (and bigger kids) oxford style shoes are handmade in LA using amazing Italian suede, giving a beautifully supple fit for children’s growing feet. Pure cotton laces and an anti-skid flexible rubber sole finish off each shoe perfectly with next to no weight behind them. The Zuzii range is nothing short of serious eye-candy – you will be hard pressed to love just one pair. I personally adore the Pop Oxford range with those glorious neon stripes but the limited edition Oxford style faux pony hair Spot shoe is hot on its heels in the style stakes. 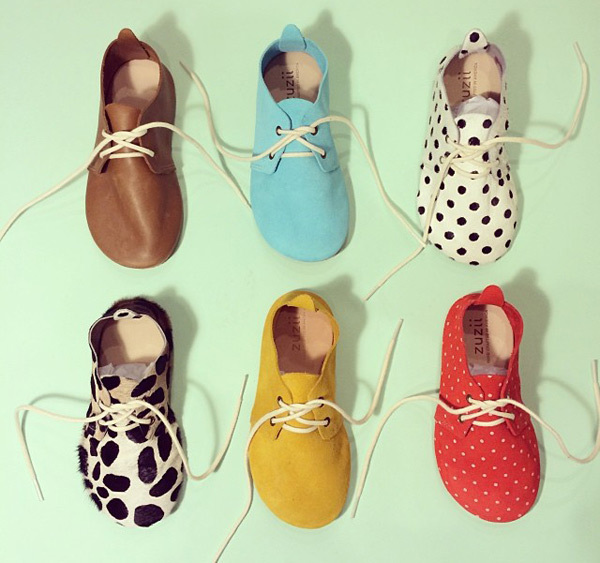 Zuzii children’s shoes are available in sizes three to a junior one and priced from US$50. International delivery to Australia is available upon request.